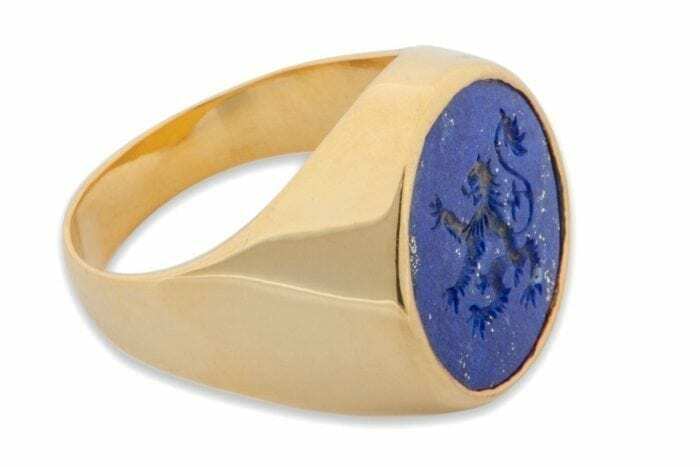 Genuine high quality Lapis hand engraved intaglio heraldic lion ring with in gold plated (5 Microns 18K Gold) sterling silver. 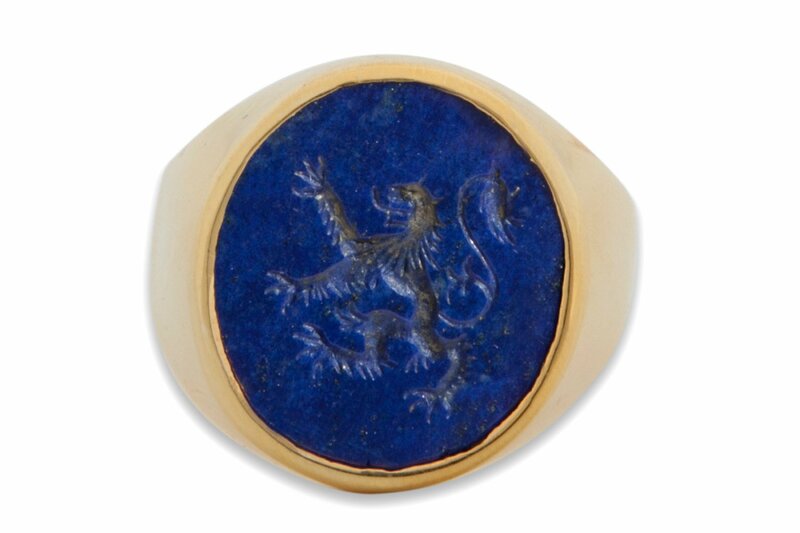 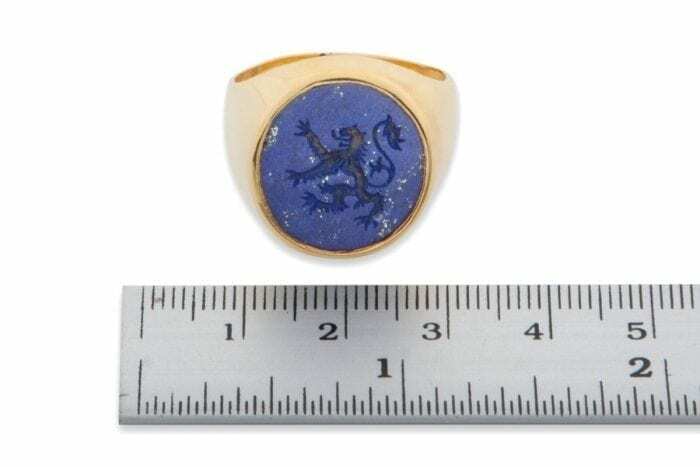 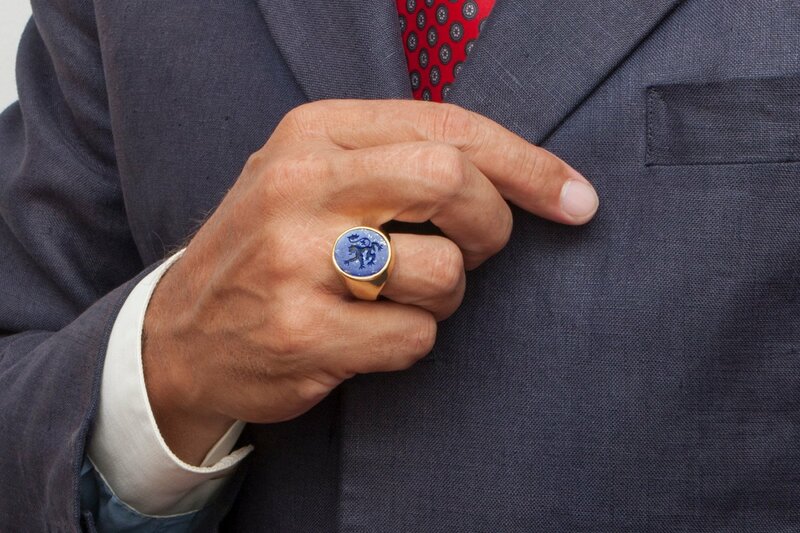 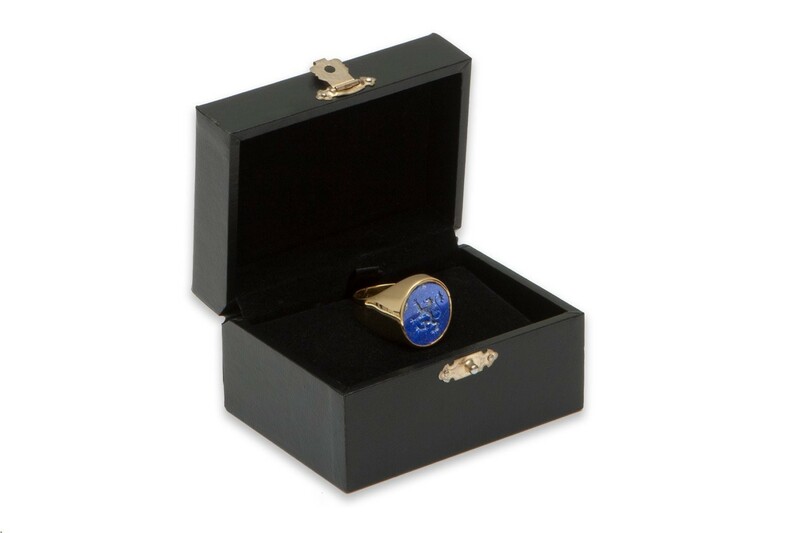 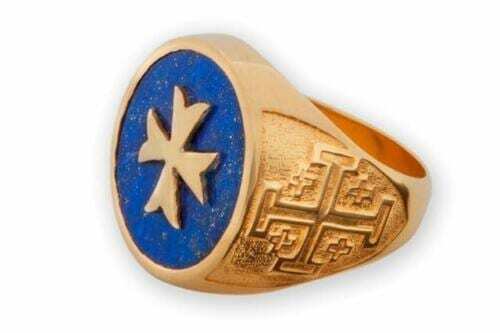 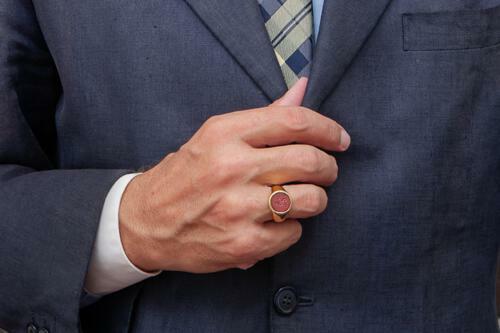 The lapis signet ring hand made oval stone measures 18 x 16 mm. (11/16 x 5/8 inch). A classic heraldic image.